Two unlikely and highly controversial figures met at the Conservative Political Action Conference today as the National Rifle Association (NRA) awarded FCC Chairman Ajit Pai with the Courage Under Fire Award. 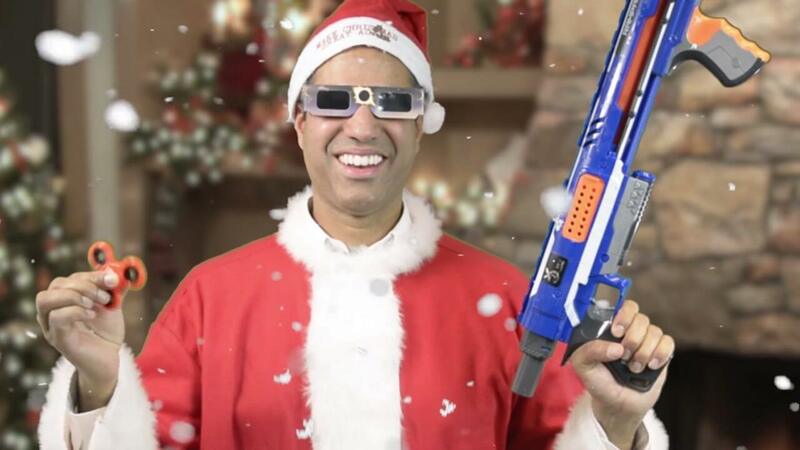 Pai has been facing continued disapproval over his decision to repeal net neutrality while the NRA has received widespread criticism for their response and viewpoints relating to recent school shootings. Pai was scheduled to speak at the conference on a panel discussion about "how the FCC is paving the way for innovation," but was surprised at receiving the award. It also includes a handmade Kentucky long gun which will be stored at the NRA's museum since it could not be brought on stage. In presenting the award, Dan Schneider, the executive director of the American Conservative Union, proclaimed that "Ajit Pai, as you probably already know, saved the internet." He went on to praise Pai for preserving free speech rights, liberating the internet, and giving it back to the people. He also called Pai the "most courageous, heroic person that I know." The award, given in honor of former NRA president Charlton Heston, is not given every year. Instead, it is only awarded when the NRA believes someone has stood up under pressure with grace, dignity, and principled discipline. Pai was given the award for his work to repeal net neutrality legislation, a move that has made him unpopular with the majority of the nation. The NRA never explained how this move preserves free speech rights. Previous winners of this award include Phyllis Schlafly, Rush Limbaugh, and Mike Pence.